Not enough time for blogging last month. Plenty for fishing though. Checking my diary I fished more than I thought I had. When the bug bites and I think there are some big fish to be caught it bites hard. Funnily enough when the fever is on me I get through a lot of work in the time between fishing sessions. It's Parkinson's Law at play. If I have all week to get through my work it'll take all week. If I want to go fishing four of the days I'll get it done in three - sometimes two! Even so I still can't manage to make an early start, fish half a day and then do some work. If I don't stay out fishing for longer than planned I just want to slob out when I get home. I'm much better suited to getting up early to work and going fishing when it's done. Ever since I caught my first double figure pike on the 28th of February 1982 (28/2/82) I've had this irrational favouring of dates which can be read the same backwards as forwards (if written in a certain way). Naturally when I arrived later than intended on Saturday (31/8/13) I was still confident. 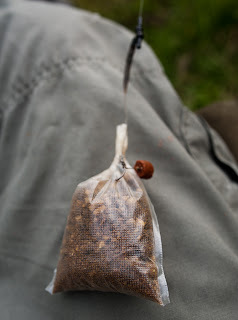 I was setting my stall out for tench (having worked out the method to catch bream) and rigged up with an in-line maggot feeder on one rod with the other two helicopter rigs being fitted with leads in place of feeders and bags of pellets used to supply feed. To eliminate tangles the hooks were nicked into the bags. Rather than repeatedly recasting the rigs they'd be left out for longer periods. It was only half an hour or so after getting settled in that the right hand fake corn rod was in action. This proved to be the first of seven bream I banked in around four hours fishing. All of them, and the two I bumped off, taking either the corn or pellet. When it became obvious that I was 'on' bream I swapped the lead on the pellet rod over to a feeder which I packed with a mush of hemp, pellets and corn. The same mix I'd spread over the tenchy looking spot I'd dropped the maggot feeder on. That rod was inactive for the entire session. 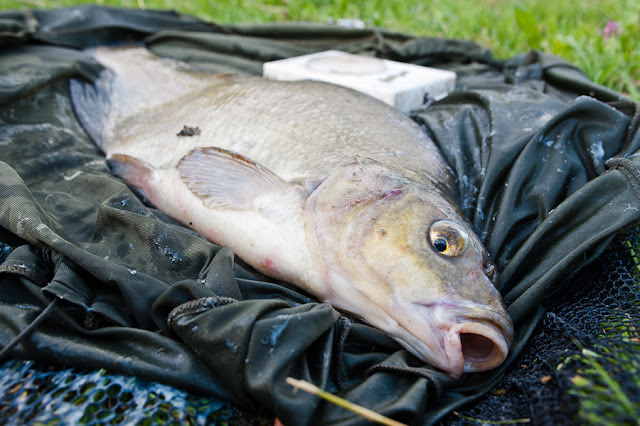 So much for having sussed the pile-it-in-and-fish-feeders-over-the-top method for bream. I guess it's more a case of putting a bait in front of feeding fish. But then I know that's always the secret to success - not the latest rig or bait as the tackle and bait firms would have you believe. Although I moved the corn around the general area I'd caught from the bream must have moved on. After seeing a fish of some sort roll I recast the pellet in that vicinity and left it. It still came as a surprise when something picked it up. For some reason I was half expecting to be connected to a carp when I picked the rod up, but it proved to be a tench which got weeded a couple of times. Like the bream it was far from being a monster. 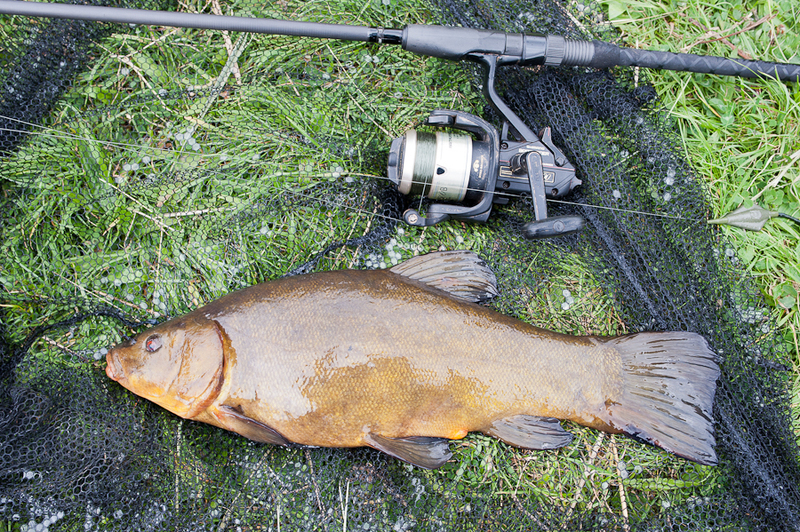 The bream could do with another eight pounds apiece, and four more on the tench wouldn't go amiss. I've put some time in, caught some fish, done some digging around, and am getting the distinct impression the geese I'm chasing are wild. I thought it all sounded too good to be true. The fever is cooling off. Time to move on methinks.